How Does Google Choose Post Titles For Search Results? When Google crawls a page on your website and indexes it to show in search results, it usually picks up the meta title (or default title) of the page that you have set. But this isn't always the case, and Google can, and sometimes will, ignore your title, and write its own. Preposterous, yes? I wouldn't want my titles overridden by a bot! So when and why does Google do that? And how does it choose titles for search results? Whenever Google tries to choose a title to show in search results, it's looking for a concise description of the page that's also relevant to the query. There are a few criteria that it looks at to narrow down to such a description. 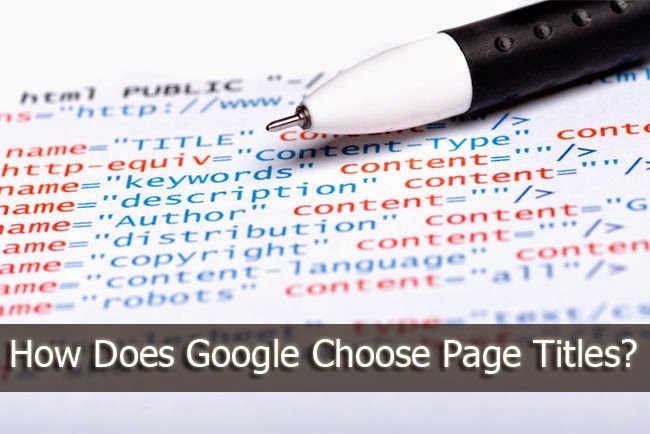 If your default HTML <title> tag fits these criteria, then often times it will be picked by Google Bot and shown in search results. That is, of course, the ideal case where the title fulfills all the three requirements. But it isn't a perfect world out there. If your title doesn't match the criteria, i.e. it isn't concise, isn't a good description of the page or website, and/or isn't relevant to the query, then a user who types in something, but doesn't see something related to their query or doesn't have a good idea of what the page is going to be, is less likely to click on it. In such cases, in order to enhance user experience, Google might dig in a little deeper into your site; it might use content on your page, it might look at links that point to your page so as to ascertain relevance, and might even incorporate some text from those links! Time to clean out those bad links huh? Google says they might even use the Open Directory Project to help figure out what a good title might be. In each of these cases, the aim is to look for the best title that will help users assess whether that's what they're looking for. So if you want to control the title that's being shown, you can't completely control it, but you can try to anticipate what is a user going to type, and then make sure your title reflects not only something about that query or the page that you're on, but also includes some kind of context, so that the users know what they're going to get when they click on it. This is the great information every blogger should h'v to know this. Thanks MBT.. This is the incredible data each blogger ought to h'v to know this. Much appreciated MBT. Asslam o Alikum. Qasim Brother. How are you? i Hope you willb fine and GOod. I read your article and I like thankx to sharing with us. Thanks for these tips bro! You are certainly posting some good content here, i am a baby blogger for now just started of my blog. www.sortofinformation.blogspot.com and willing to be a professional blogger. Keep up the good work.